Yes! 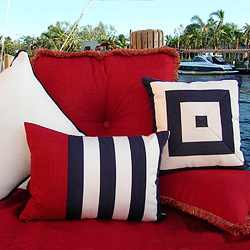 We can make outdoor cushions to your specifications - any size and any shape. 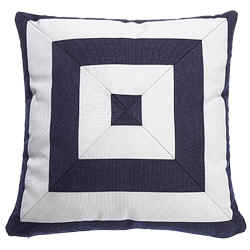 A small outdoor scatter cushion is around 43cm. A medium is 50cm and a large is 63cm. 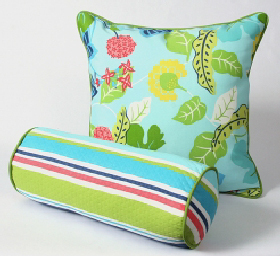 To measure an existing scatter cushion cover, take the insert out and lie the cover flat. Measure from seam to seam. If you can't remove the infill, then let the tape measure drape over the cushion. 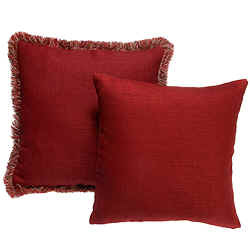 Remember a scatter cushion cover will be around 5-10cm smaller when filled. 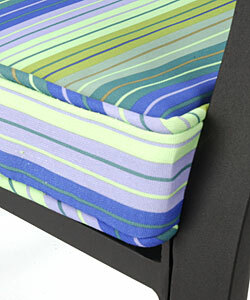 A boxed cushion has a side wall and will generally be used for seating. Foam is available in 5cm, 7.5cm, 10cm and up to 25cm. 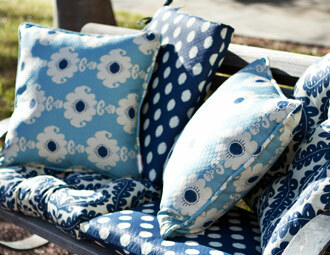 Just as a general rule, a daybed will be 10cm, a single chair cushion will be 10 - 12cm, and a bench seat will be 5 - 7.5cm. 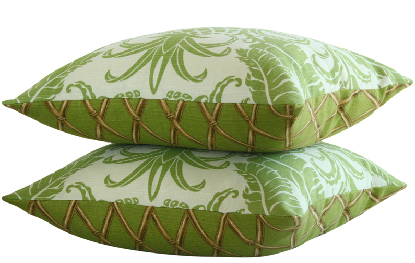 Above: 10cm boxed cushions in Mindill Lime with Kona Lagoon piping. 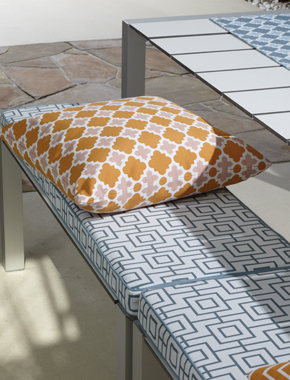 For bench seats and small cushions, we may suggest you have your cover made in a "wrap" style. This just means the fabric wraps over the front of the cushion without a seam. 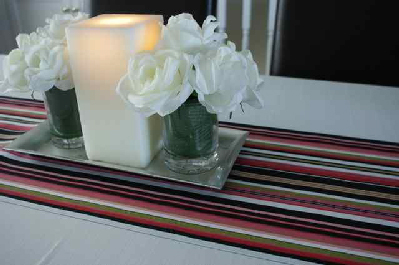 It's more cost effective and uses less fabric than a boxed cushion. Piping is an individual choice. 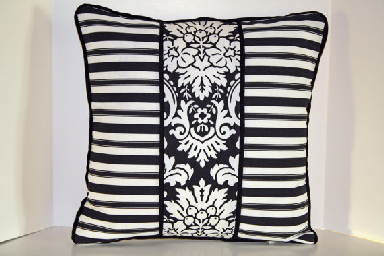 It suits more formal styles of cushion covers and is very effective if done in a contrast colour.